It’s Time to Get Active with Keep America Active! Bags packed? Check. Itinerary set? Check. Then let’s hit the road. What is Keep America Active? ● Travel from state to state, stopping at the country’s most amazing hot spots as you record health behaviors. ● Build well-being habits that last long after your country-wide tour is over. 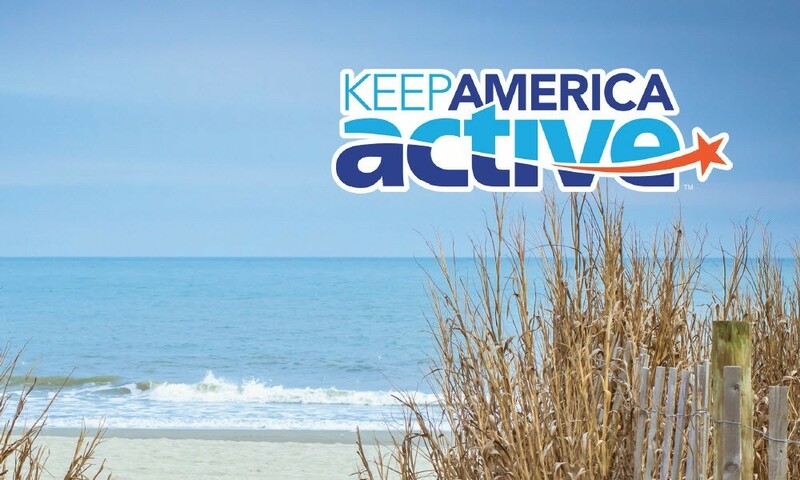 When is the Keep American Active challenge? Each day you’ll visit a new attraction, earning points and stars as you record physical activity minutes or steps, plus sleep and produce servings. And you’ll answer a fun trivia question, learn why each attraction should be on your bucket list, and collect badges. To make it even easier, you can use a tracking device to record your daily steps. Just put the wireless activity tracker on in the morning, sync it with your Keep America Active account, and your physical activity will automatically load. Monday, Feb. 11: The first day to log activity. Begin recording health habits today. Sunday, Feb. 24: Team formation deadline. Last day to form or join a team of 2-15. Sunday, Apr. 7: Program ends. But you may backlog until Tuesday, May 7. Can participate in Keep America Active count towards the well-being incentive? 1. From the USG Well-being portal landing page, select Track from the left-hand menu or Add to Track from the top right bar. You can also sync Track with many wearable fitness devices and apps like Fitbit and MapMyFitness. 2. You can also click the Track It button in the upper right corner and a window will pop up. You can search for an activity or click the GET ACTIVE tab for a list of options. Once you select an activity, an entry form will display. Enter the duration, intensity, and date of the activity. Be sure to click Save at the bottom when complete. That’s it! Your activity has been recorded.